I set out to create my own heroine... a young black teenaged girl named Marradith Ryder. She has the power to hunt and kill monsters because of her complicated bloodline. Drawn into the Sojourners for her own protection, she soon finds out that working for the good guys comes with strings. There is action and romance, and bad things to be killed. But at its heart, Hunting in Closed Spaces is about family, those we’re born from and those we make our own through shared experiences and loyalty. The Sojourners are made up of people of all kinds, but they work together to accomplish their goals. 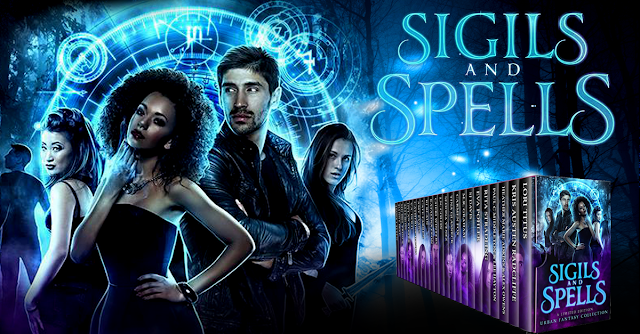 Sigils and Spells will be available on Tuesday, January 9, 2018!